Owning and running a bunch of small businesses, I have a real appreciation for just how important it is for SMBs to have a handle on their customers and deal flow – CRM, a concept foreign to many SMBs only a few years ago has become, with the growing importance of social media, a critical part of their operation. For that reason I was excited to hear back in April of a strategic alliance that salesforce and Intuit had inked that would see salesforce’s CRM brought to Intuit’s QuickBooks users. At the time of the announcement, my impression was that the alliance would see salesforce create a custom CRM offering that will be sold through Intuit’s app store and which would natively integrate fully with QuickBooks and offer up both CRM and financial data side by side. I spent awhile this week having a demo of the solution from Sonia Singh, product manager at Intuit and have some thoughts about it all. 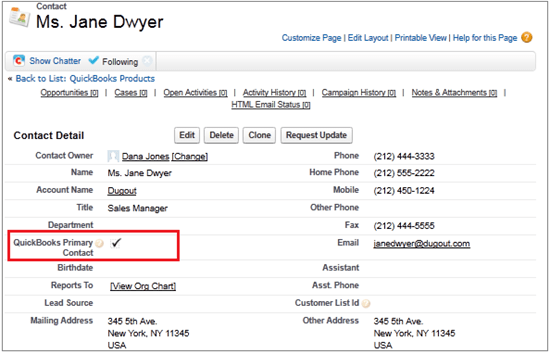 Once set up, the product is charged to users via the Intuit AppCenter. The solutions works with salesforce’s Group and Professional versions – Group is charged at $18 per user while Professional is $60 per user. Interestingly the lightest version is actually charged at a few dollars more than buying the solution directly from salesforce. In terms of differences between the two packages, professional gives users added features such as product sync, the creation of transactions for QuickBooks within salesforce and some product and contract management options. For existing salesforce users, there is the option to contact Intuit to have the two solutions integrated – this integration is charged at $20 for the group edition and $40 for the professional edition per month. It’s not a huge amount of money for a deep integration and will be attractive to existing users of both solutions. Interestingly, and as an aside, SaaS SMB accounting product Xero also has an integration with salesforce. Dime for CRM brings similar functionality that QuickBooks users are getting from this integration to customers of Xero – since Xero is also a product targeted at SMBs I was interested to hear from Trineo, developers of Dime as to the commercial uptake of the product. While not prepared to disclose numbers, Trineo director Daniel Fowlie did say that they have attracted steady interest and now have customers in New Zealand, Australia, South Africa, UK, Spain and the US. When the deal was first announced, I saw it as a real opportunity to bring CRM to small businesses that simply couldn’t afford the cost, or handle the complexity of salesforce. I was kind of hoping that salesforce would create a cut-down version of their application that removed some of the complexity for users and delivered it via the IPP. While salesforce is undoubtedly an incredibly strong and flexible offering, many SMB users complain that it’s just too complex for their needs – this integration doesn’t really answer that criticism so that will limit the adoption somewhat I believe. Intuit has, to a certain extent, missed an opportunity to really leverage it’s massive userbase and deliver CRM to them – the pricing and complexity of salesforce will immediately rule out this offering to a large part of the QuickBooks userbase. The real winners here are existing users of both salesforce and QuickBooks – for only $40 a month for the entire organization, they get to tie together their two systems of record – something pretty valuable for them. At Xact Software we have had an advanced real- time live link (not simply synchronised) to QuickBooks for Australia/NZ and North America users of ACT!. As a CRM ACT! has more users than Salesforce in the small business sector. We have had this for over 2 years.